VIPAccessEXCLUSIVE: The Stupendous Jacob Whitesides Updated Interview With Alexisjoyvipaccess At His Troubadour Concert! It all started when he set foot on The X Factor stage, and now, 3 EPs, 4 singles, 7 music videos, and multiple tours later, Jacob Whitesides has and continues to establish himself as a worldwide phenomenon! Jacob Whitesides defines what it is like to be an incredibly talented and remarkable musician. Whitesides’ vocals are extraordinary and the way he accompanies his music with his guitar playing skills is just superb. With all of the musical masterpieces he has brought out to his fans, saying that Jacob Whitesides is a prolific musician is truly an understatement. Every one of Jacob Whitesides’ projects is nothing short of perfection. He continues to leave fans absolutely awe-inspired with how he always surpasses their expectations with his brilliant works of art. At only 18-years-old, the extraordinary Jacob Whitesides has been recognized on multiple accounts for his indescribable talent. He was named Radio Disney’s “Next Big Thing” in 2015 and in December 2015, Spotify USA even announced him as an artist to look out for in 2016, and they were 100% correct, as Jacob Whitesides continues to take over the entertainment world in such a marvelous way. In addition, Whitesides has also been traveling around the world and making the stage his second home as he has been going on several tours. In fact, he has been having an incredibly successful “Lovesick” tour to celebrate his hit single of the same title and he will be embarking on another European tour very soon; and if you think that there’s a lot going on in the wonderful world of Jacob Whitesides, there is only more coming! Jacob Whitesides even has his highly-anticipated and exceptional debut album coming out later on this year and it is bound to be at the top of all of the music charts. One of the many things that makes Jacob Whitesides so incredible is that despite all of his excellent successes and accomplishments, he still manages to remain so down-to-earth, humble and one of the most genuine musicians you could meet. On and off tour, Jacob Whitesides makes fans’ days so much more special with how accommodating he is to all of them and how he manages to make each fan feel so special and a part of his musical journey. For a musician that puts 150% of his passion into his work, one who works 24/7 on bringing out the very best to his fans, bringing a special energy on the stage that his fans will never forget, and having a talent like no other, the future holds many more amazing things for Jacob Whitesides and we all can’t wait to continue to see his success skyrocket rapidly more and more as the days go by! 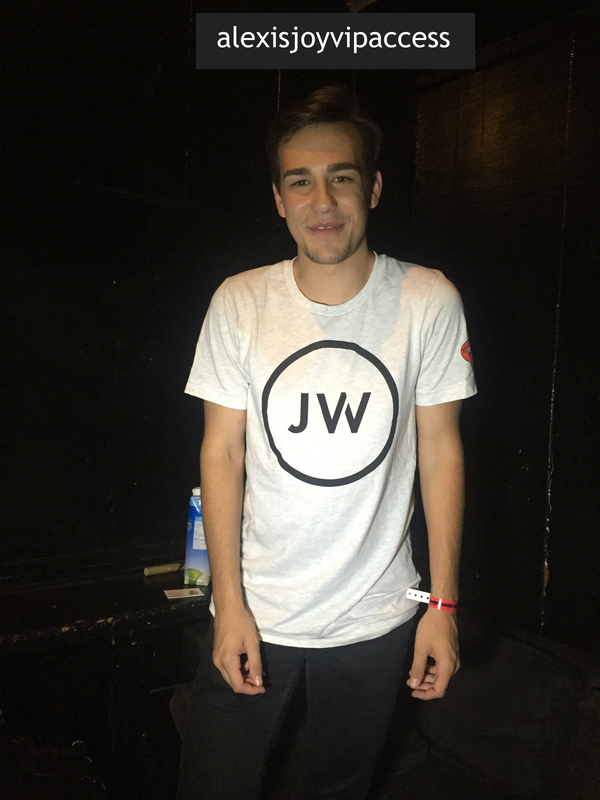 I, Alexisjoyvipaccess had the honor of catching up with the magnificent Jacob Whitesides backstage at his sold-out concert at The Troubadour in Los Angeles during his Lovesick Tour. Jacob Whitesides dished exclusively to Alexisjoyvipaccess all about the one emoji he would use to describe the feeling he gets when he performs in front of all of his fans, the inspiration behind his hit single “Lovesick,” his upcoming debut album, and so much more only in our VIPAccessEXCLUSIVE updated interview. The fantastic Jacob Whitesides even spilled on his pre-show ritual before a performance and he took on a fun speed round where he revealed the food he was craving the most while on tour, his first concert he went to and more – hear what Jacob Whitesides had to say in our VIPAccessEXCLUSIVE updated interview below. Thank you for the super fun interview, Jacob – always a blast chatting with you! Check out my VIPAccessEXCLUSIVE interview with the spectacular Jacob Whitesides at his Troubadour LA concert below! Stay connected with Jacob Whitesides on Twitter, Instagram, YouTube, and Facebook and buy “Lovesick” on iTunes! Previous VIPAccessEXCLUSIVE: Chloe East Updated Interview With Alexisjoyvipaccess At The “Little Miss Perfect” Premiere! Next Article: Join Olivia Holt On Tour With Her New Radio Disney Show “Tour Diary” Starting 7/7!